With the aim to protect the interests of copyright holders, Google is making ‘pirate’ sites more difficult for its users to find. This week the search engine revealed more information about the scope of this effort. Thus far, Google has downranked 65,000 sites, a measure that led to a 90% reduction in referrals from search results. Ideally, groups including the MPAA and RIAA want search engines to remove clearly infringing websites from their search results entirely, especially if courts have previously found them to be acting illegally. While Google doesn’t want to remove whole sites, the critique did prompt the company to make changes. For example, in 2014 it updated its core algorithms aimed at lowering the visibility of “pirate” sites. Using the number of accurate DMCA requests as an indicator, these sites are demoted in search results for certain key phrases. “Sites with high numbers of removal notices may appear lower in search results. This ranking change helps users find legitimate, quality sources of content more easily,” Google explained. While the effects were felt immediately, it’s been unclear how many sites were affected by the algorithmic change. This week, the search engine is filling in some of these blanks. In a comment to Australian media, Google states that it has demoted 65,000 sites in search results, a list that’s still growing every week. In total, the company received DMCA takedown requests for over 1.8 million domain names, so a little under 4% of these are downranked. The result of the measures is that people are less likely to see a pirate site when they type “watch movie X” or “download song Y.” This means that these sites see a drop in visitors from Google and a quite significant one too. “Demotion results in sites losing around 90 percent of their visitors from Google Search,” a Google spokesperson told The Age. Indeed, soon after the demotion signal was implemented, pirate sites were hit hard. However, pirates wouldn’t be pirates if they didn’t respond with their own countermeasures. In recent years, many infringing sites have hopped from domain to domain, in part to circumvent the downranking efforts. In addition, Google’s measures also created an opportunity for smaller, less reputable, sites to catch search traffic that would otherwise go to the main players. Overall, however, it’s probably safe to argue that Google’s demotion efforts lowered the search engine’s referrals to pirate sites. That said, demands to do more won’t subside. In Australia, Village Roadshow co-chief Graham Burke has been especially vocal. 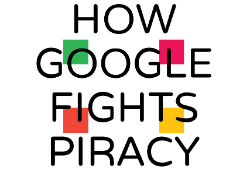 He has accused Google of profiting from piracy-related traffic and wants the search engine to permanently remove infringing sites from search results. Blaming piracy for declining revenues, Burke noted this week that there are “empty desks everywhere … we can’t compete with stolen goods being sold for free.” And he is not alone. Google sees things differently of course. The company has repeatedly highlighted that it has taken several measures to address the piracy concerns, while noting that the entertainment industries have a responsibility of their own as well.